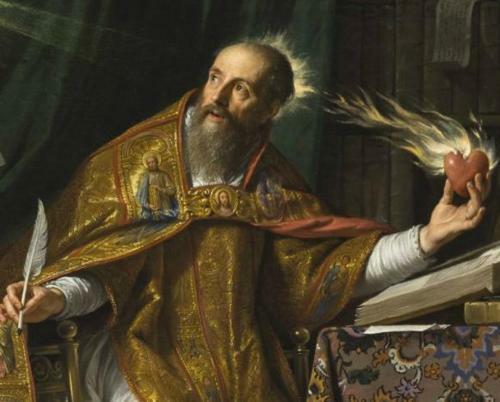 Saint Augustine, great Bishop of Hippo and Doctor of the Church, may your life of conversion to the Catholic Faith be an example to both those who have never been apart of the Church, and to those who have fallen away from Christ's Church. Through your closeness with Our Lord in Heaven, intercede for us and bring to the One True Faith the following people (mention names). May your conversion centuries ago continue to inspire those who are lost today and with the help of your prayers, may God bring them to a full understanding of the Faith. Most importantly, may your struggle to find Truth, through many sins and failings be an example of the Lord Jesus' forgiveness and eternal saving Grace. Amen. Oh God, hear the prayer of your servant, St Augustine, and bring the message of salvation to all who seek you in sincerity. Amen.